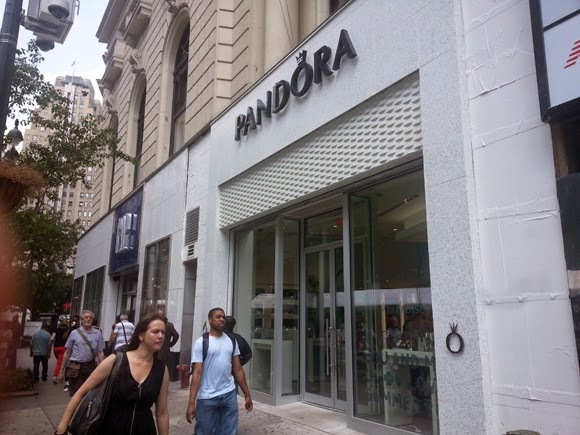 Congratulations to Adam Gindi of Diamonds & Dials, who just opened a new Pandora concept store in Herald Square. It's a gorgeous new addition to this block just south of 34th Street on Broadway, next door to Gap Herald Square. Adam is one of the last independent owner/operators on 34th Street. 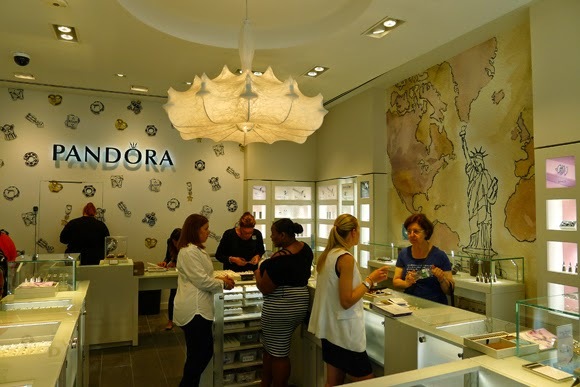 He recently closed Diamonds & Dials Herald Square, but is still entrenched in the 34th Street district with Diamonds & Dials Greeley Square and this new Pandora store. I highly recommend visiting Adam in one of his locations (they are practically in shouting distance from each other), as his ebullient personality and flawless customer service will keep you coming back for more. Updated to add: We visited Adam Gindi today in Pandora, and the boutique is looking great!